Home » Dating advice » How to get a guy to commit…it’s all about stages! How to get a guy to commit…it’s all about stages! How to get a guy to commit…let’s talk about this! 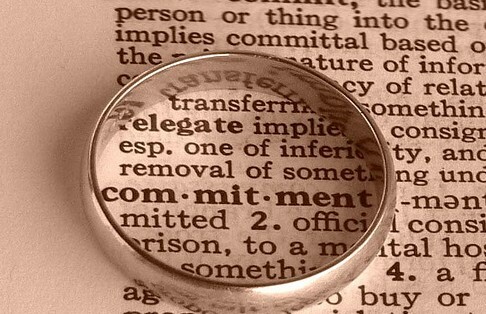 Commitment is a subject on which men and women often have divergent views. But girls, if you’ve lost your heart to a commitment-phobic man, do not worry we may have some tricks up our sleaves that might just help you win him back. Here are some great ways to make your guy commit to a relationship or marriage! Let the guy realize that he is happy with you; if he enjoys the time spent with you, he will want more. But make him earn it. And let him know that he has to earn it. If he really wishes for your company over the long-term, he will be more than willing to commit. If not…it is indeed his loss. The operative word here is space. In cases of breakups completely ignore him and disappear from Facebook for 2 weeks: Post an update that says so much happier, things are going great! It’s one thing to get a guy to come close to you and another to make him stay there, the former is easy while the latter requires commitment. You can pander to a guy’s whims and ego and he’ll come to you, but will he stay? You really don’t want to do either, though you want a healthy relationship where he is the one wanting the commitment. Otherwise you are starting things off on the wrong foot. This said, most men are suckers for TLC, so give it to him but also be firm and make sure you are not TOO AVAILABLE…stay busy with your own life and give him his space. Do not let him have all the pleasures associated with your companionship. Keep some of it till later. As mentioned above, let him earn your wholehearted love! If he won’t commit chances are he doesn’t think he has to make a choice. Give a guy time, let him know that commitment is what you are looking for, but do not give deadlines and don’t issue ultimatums. That is again the ULTIMATE recipe for a breakup. This is ALWAYS a no-no and will drive your man away from you. Let him know that you respect his need for space and independence and also need your own. Be patient like a good angler. Hook’ em proper before you reel them in. Extract bits of commitment. Do it in stages. Check back often for great dating advice and relationship tips as well as the latest dating site reviews! Is it over? There are plenty of fish in the sea… Browse guys in your area and save some dough with a Match.com promo code. Also check out our reviews on the best dating sites for single parents. Right now we have featured offers from Match.com, the largest online dating site in the world. Join 100% free for a trial membership or claim your 20% off on a 6 month membership! REAL PERSON, REAL REVIEWS! Jason Lee has researched online dating sites and the online dating industry for 3+ years. He is the creator of OnlineDatingBackgroundChecks.com, DatingChimp the Dating Site Reviews App, and DatingWebsiteReview.net. In 2013 he also launched the first consumers reviews driven independent online dating award called the Golden Hearts. You will find refreshingly honest reviews of all REAL, relevant dating sites here as well as the latest free trial offers, promo codes, and discount codes for all the best online dating sites!